First things first, Chicago Pizza is not Pizza it’s Lasagna. Sorry Windy City you are the best at Hot Dogs and anything that deals with encased meats. So, that should give you a clue on our taste in Pizza. Also, this is our opinion and we welcome your opinions below. To be fair we are basing this off three places. So let’s give you the rundown and below we will rank them. Let’s start in the Midwest. I have to say this is the most shocking of all the places we went to of the three. We never thought of Michigan as a contender for best pizza. Chicago gets most of the midwest love and it’s completely justified. 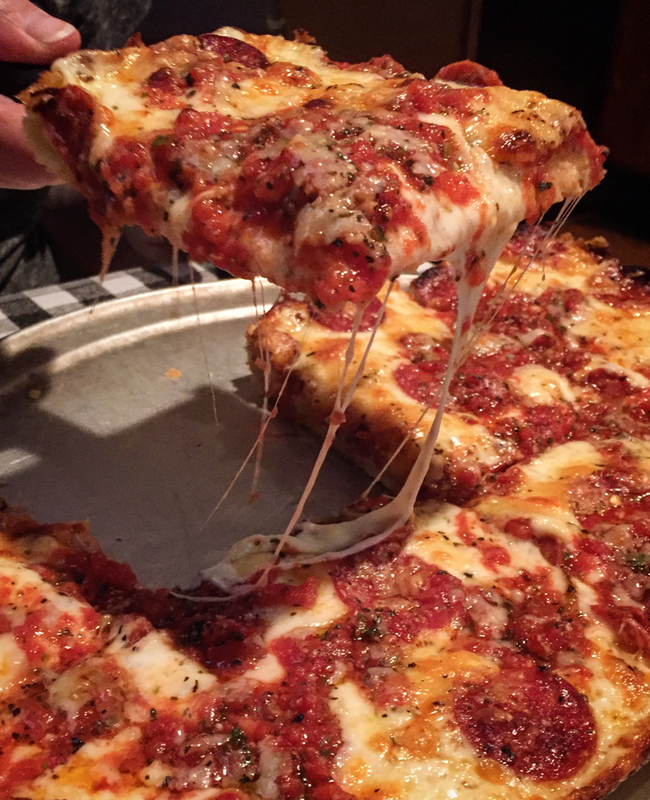 If you want a thick pizza Detroit style is the only style worth it’s weight in dough. 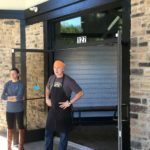 Buddy’s on Conant Street got off to a good start. Anytime I see off duty cops hanging out at a place you have to assume they know the spots to eat. Then followed by some Union guys getting off their shift and families. This place is the birthplace of Detroit style pizza. It opened in the 1930s more as an after hours drinking spot with a little gambling. It has that feel in a good way still today. Right away, the staff was on point. very attentive and helpful. In 1946 they put Pizza on the menu. We ordered The Detroiter: Cheese, pepperoni on top, tomato basil sauce, topped with shaved parmesan cheese and Buddy’s Sicilian spice blend. It’s all about the crust and the caramelized cheese on the corner and edge of the pan slices. Somehow this pizza is best when on the corner of the pan. The middle is OK but the corner slices are amazing. The thing that is also great is this pizza (unlike the Lasagna Chicago Style) is it won’t make you feel like you gained 15 pounds eating it. It’s very light. 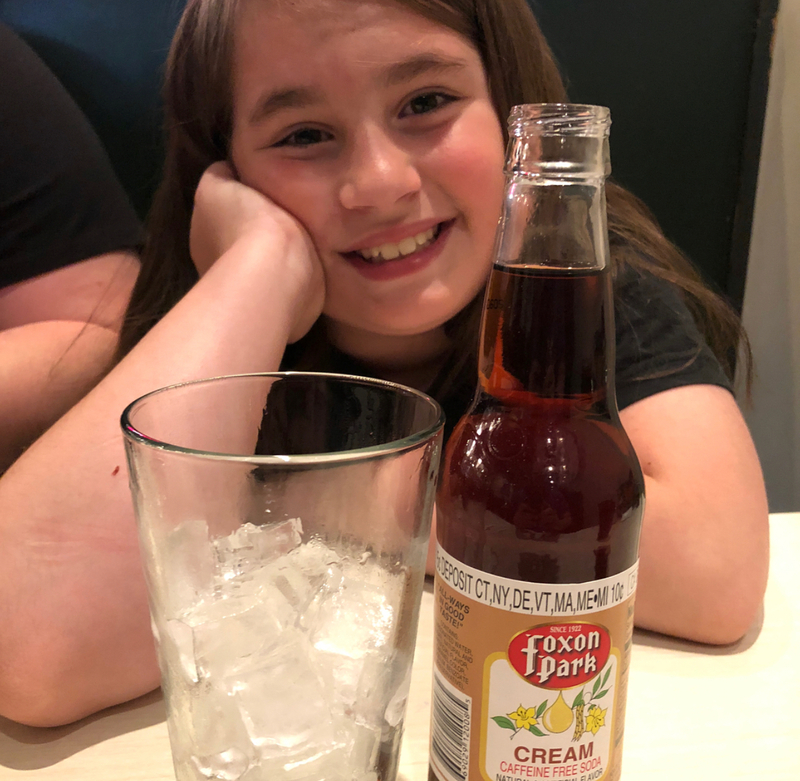 Which is good because they offer something I had never had before, Vernor’s Ginger Ale Float! It blew my mind. That Cheese at Buddy’s! 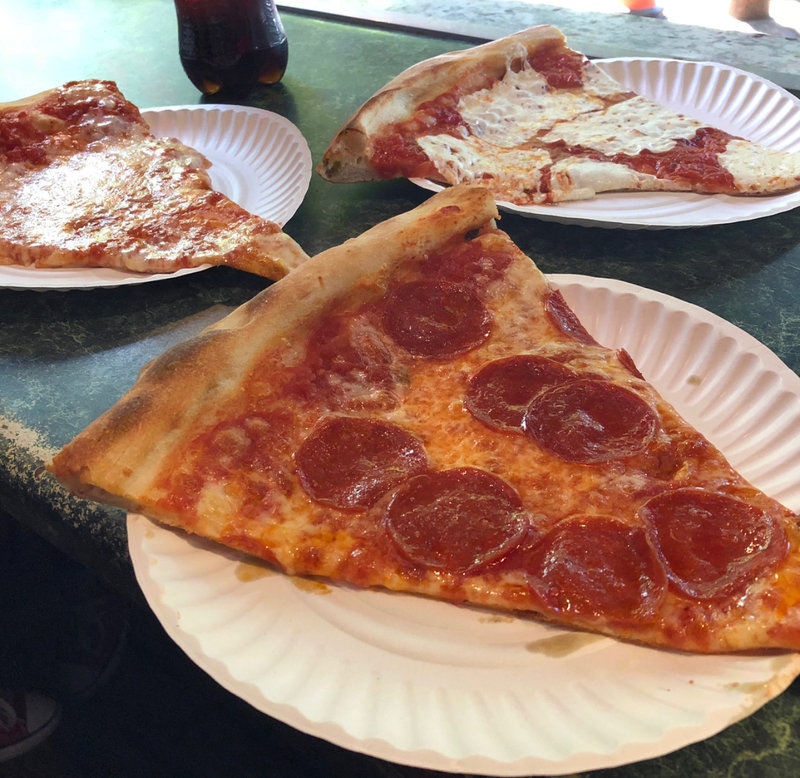 Corner Slice is all mine. When I had this story in mind it was going to be two cities. New York vs New Haven. Detroit made it tough. 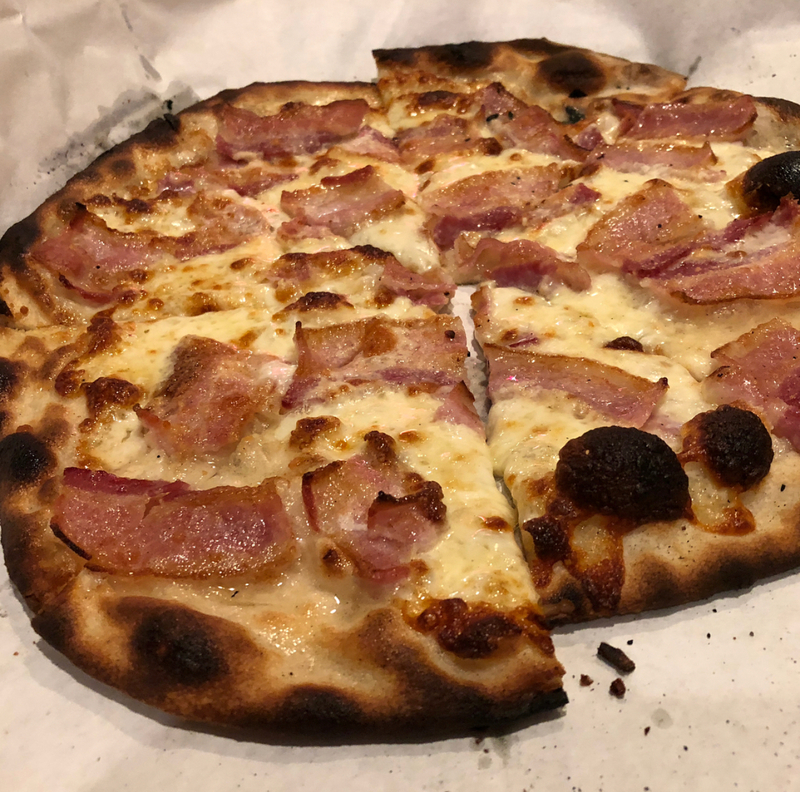 That said, Apizza (as they say in New Haven) was one till about two years ago I had never heard about. 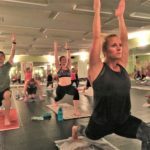 My Southern U.S. and Los Angeles upbringing never exposed me to the city. Then while working on our family genealogy I found out ancestors of ours were one of the founding families in New Haven, Ct. and I wanted to know more about the city than it being the home of Yale University. So, I googled New Haven. Our first surprise is they call it Apizza. Then, they have six nationally ranked Pizza restaurants in five square mile radius. 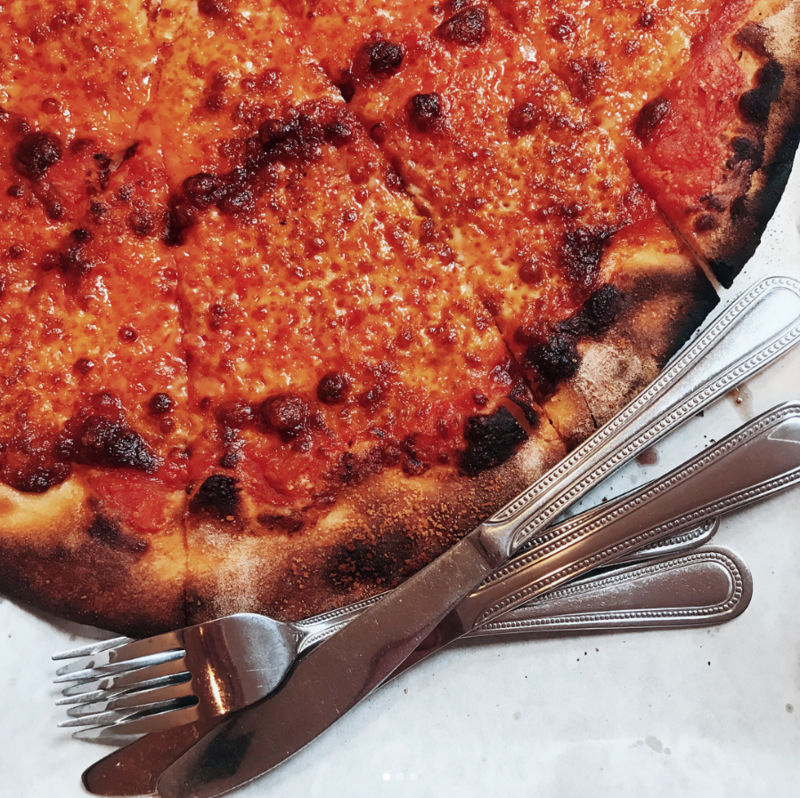 A town of 130,000 people with six great pizza places is a dream. 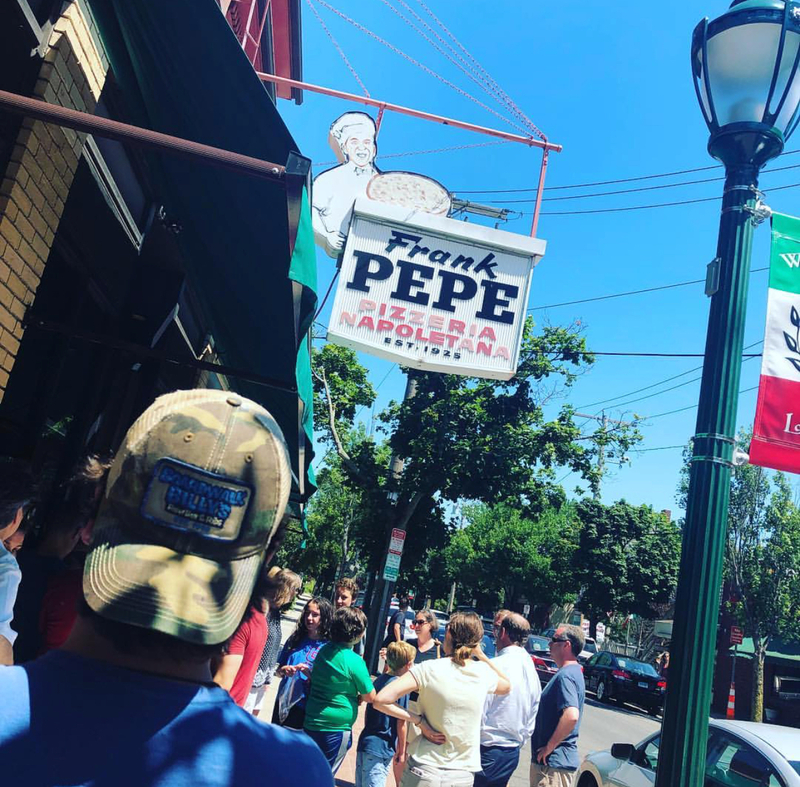 After doing my research I heard we had to try Frank Pepe’s if I was going to try one. Spoiler Alert, before I left for Boston (future stories on that) I grabbed one more pie from Frank’s to go. The line here can be out the door and take a while to get a table. We were lucky that it was a short 15 minute wait when we arrived. 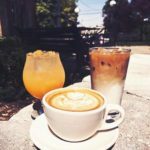 It’s the total opposite of the midwest counterparts and actually has more in common with NYC and Italian pizza. It’s flat and thin. New Haven does cook theirs a little more to give it a slight burnt taste (which was great). They don’t do a ton of cheese. In fact one of our pizzas had a light taste of cheese and it was my favorite of Frank’s. It’s very simple. The dough is very crispy from the over night fermenting. The coal ovens in this place is beautiful and have been working more than most in the place have been alive. 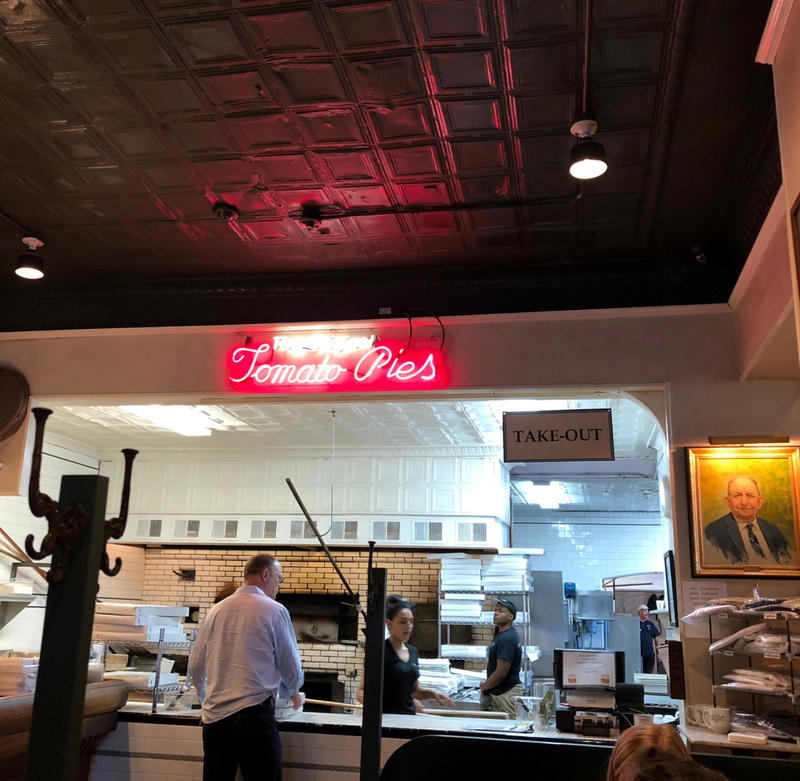 My favorite was the The Original Tomato Pie w/ Mozzarella. Hands down the best at Frank Pepe’s. We also got one with Fresh Tomato on top and it was good but it made it a little soggy, for me. All this said the thing that made Frank’s great in my book was the White Clam Pizza. Made with Fresh Clams w/ Grated Cheese, Olive Oil, Fresh Garlic & Oregano. Not because it was great, it was, but because I hate clams. I don’t like clams. Yet, I loved them on this pizza. They took an ingredient I despised and made me love it. Our daughter loved her pizza which was a bacon (mind blowing bacon) and cheese pizza. 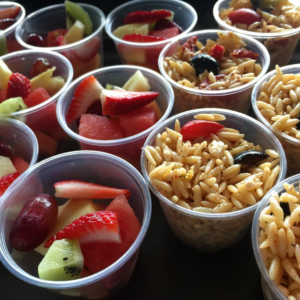 Below is a little sample of what we had. I can already hear people saying we went to the wrong NYC Pizza spot. You’re wrong. We went where Spiderman was a delivery guy! 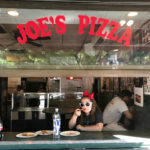 Joe’s is right around the corner from Stonewall and is in one of the best neighborhoods to visit in New York City. Located on Carmine Street. It sits across from Father Demo Square this is what I have pictured when thinking of a New York Pizza shop. 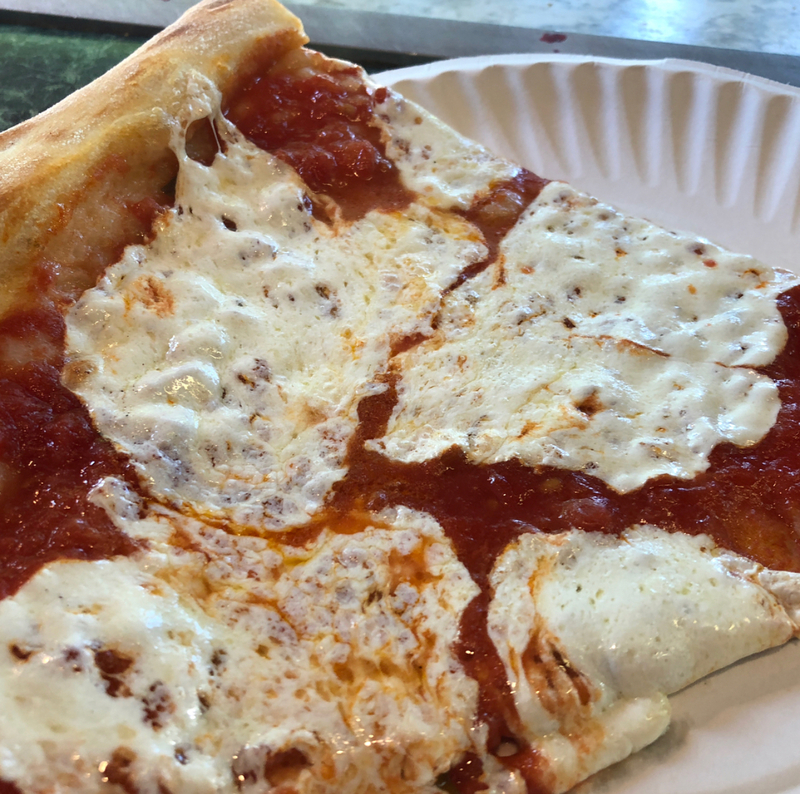 A place you can grab by the slice. A little greasy so there is a way to hold it. That nice crack when you fold the crust. A way to eat it and hope not to spill any on your shirt (we were heading to see Harry Potter and the Cursed Child after). The smells of the neighborhood mixed with the smell of cheese and dough. It even had the stereotypical celebrities on the wall photos. The staff here didn’t have time for pleasant gab. This is New York. Know your order, have your money ready and move along. Ambiance is key here. I got caught in it and declared it the best after we ate here. There is something about the neighborhood. 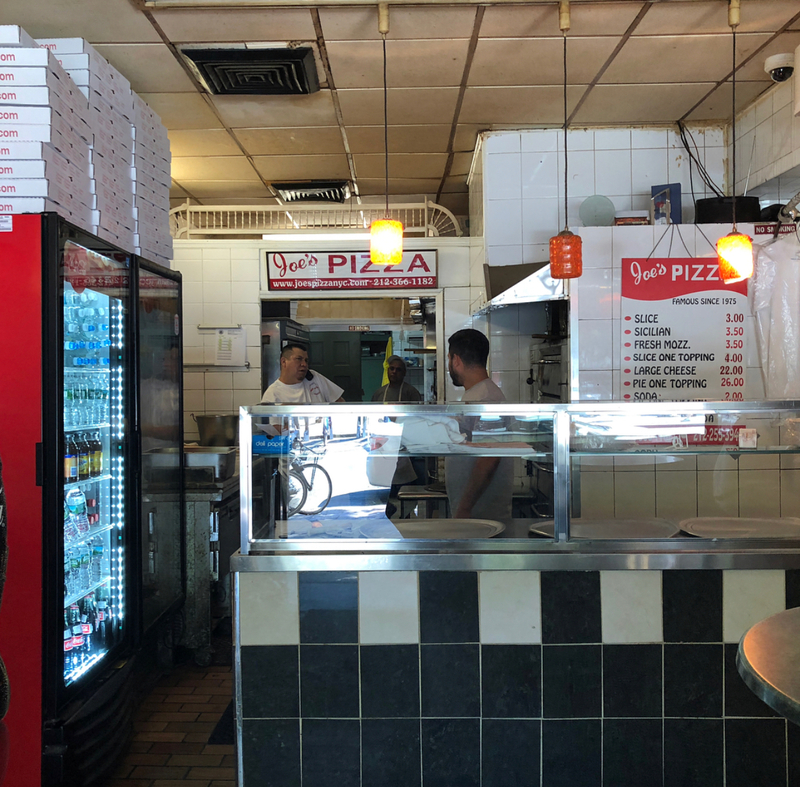 It’s a by the slice shop and it’s all to-go. Even though we sat in the window. It’s not sit down like we did on the other two. 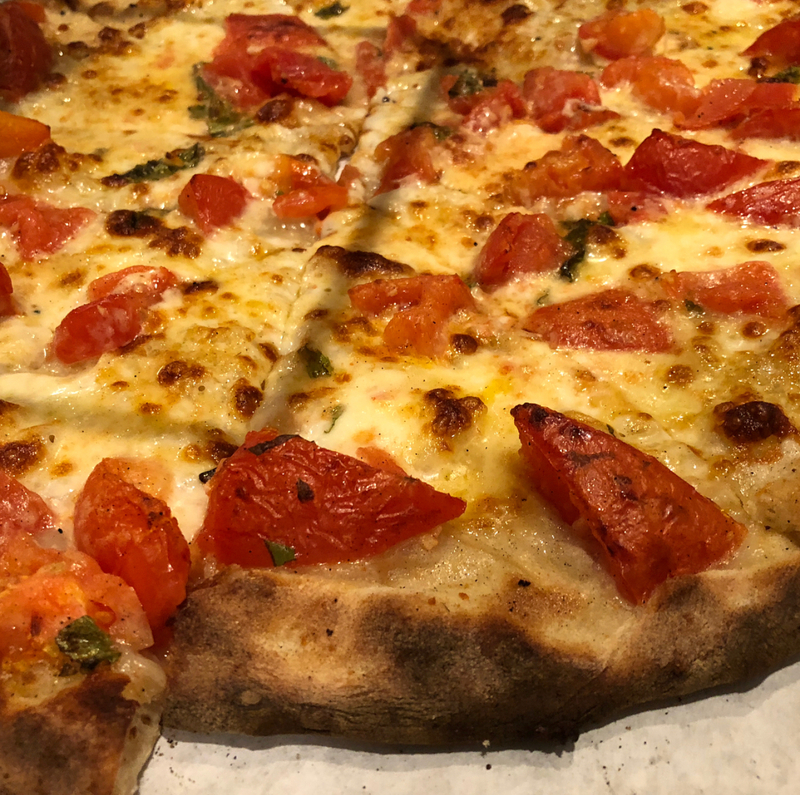 The dough and cheese with the tomato is so simple here. The Pepperoni was good but Detroit style was the only with Meat that I loved. That said, this will not be my favorite below taste wise. 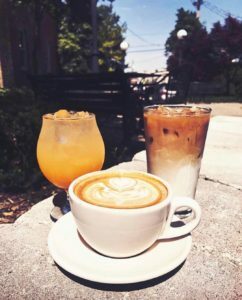 Although, those photos show why the ambiance is so cool at Joe’s. 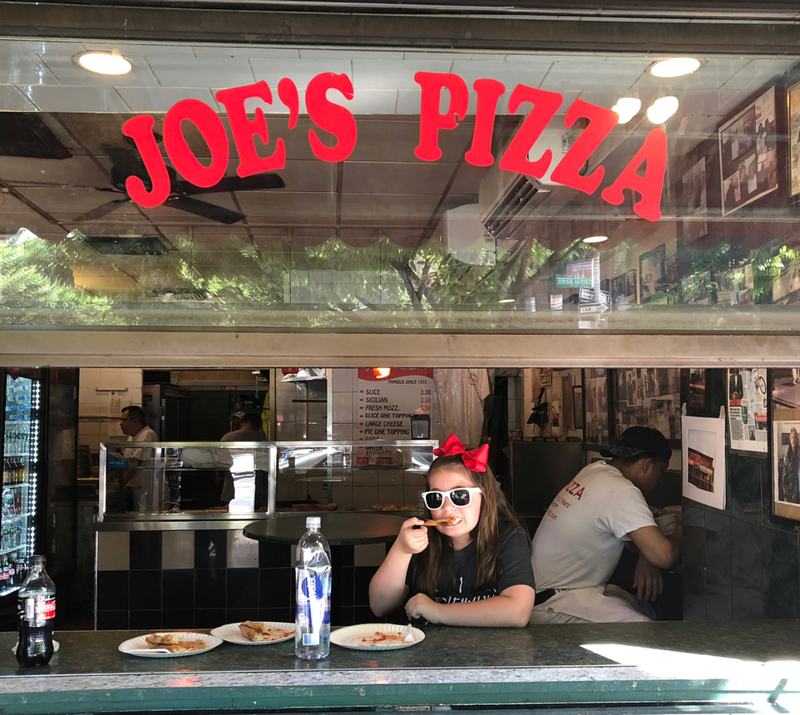 Joe’s Pizza on Carmine is perfect for an Instagram shot. 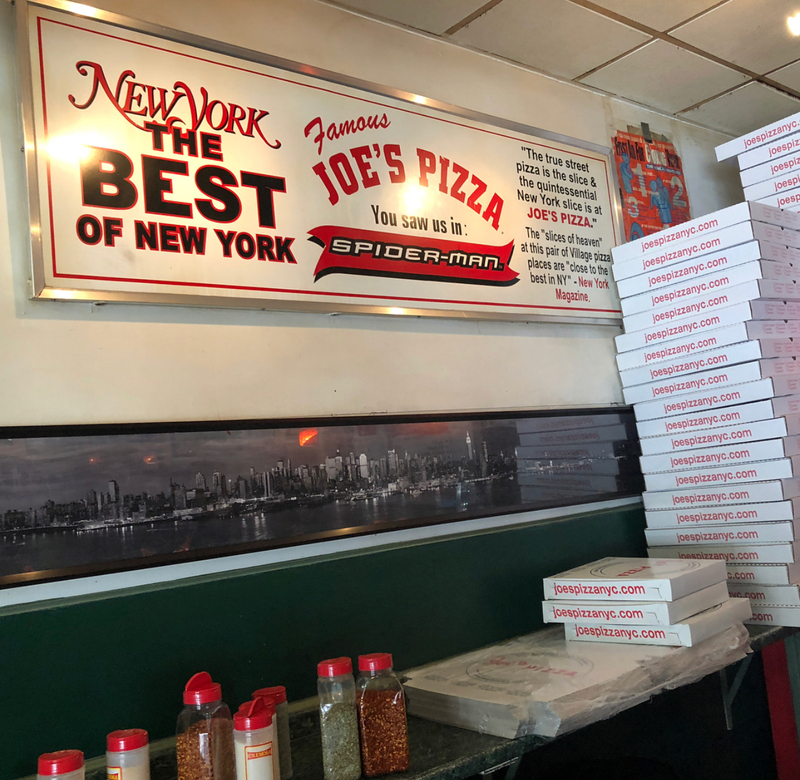 Joe’s Pizza where Spiderman worked. If you ask me on the street, I may have a new top three. These are all 1a, 1b and 1c. You need to visit all three locations. 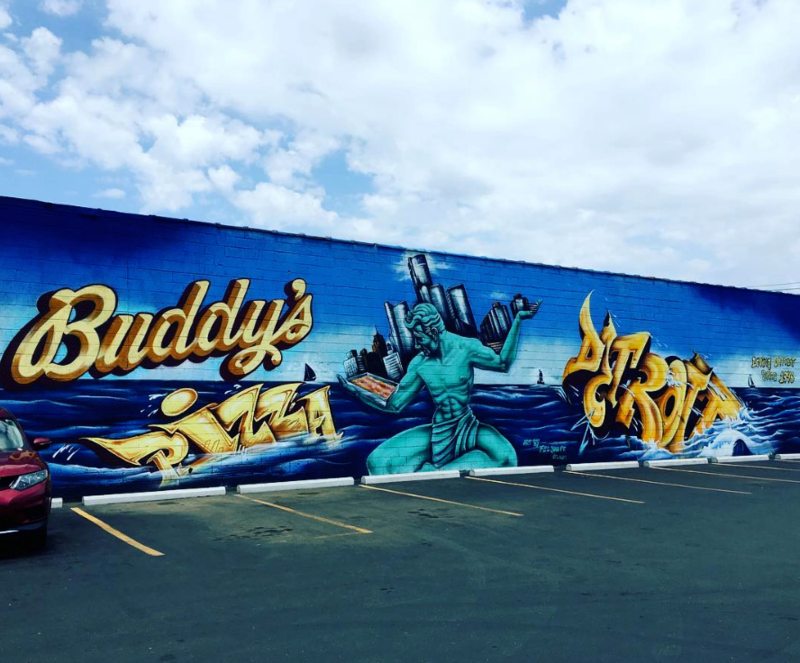 Buddy’s Pizza– I loved the corner slice. 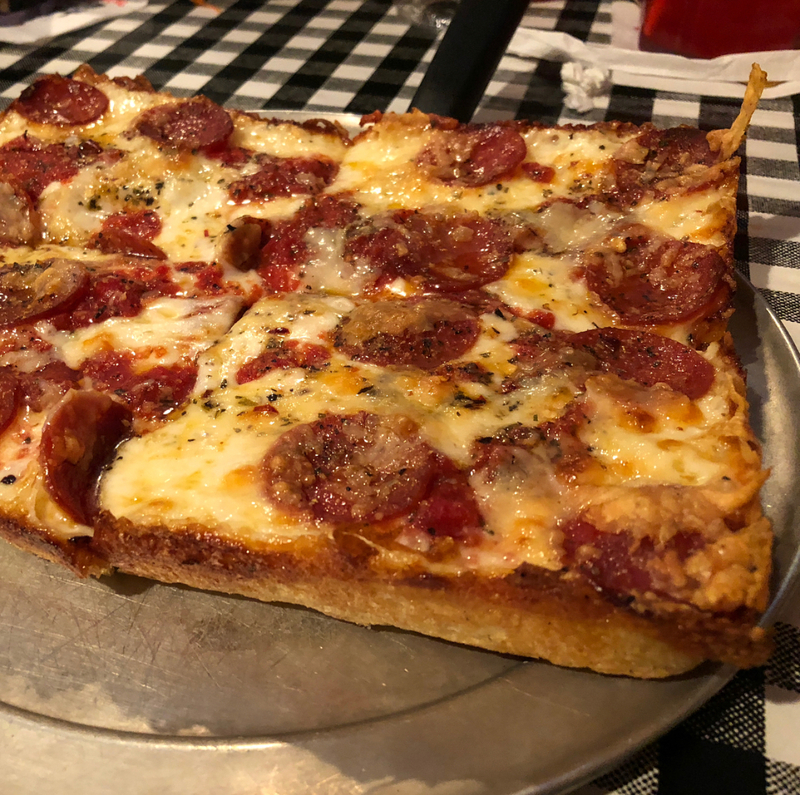 The corner slice of a Detroiter is worth the visit to Detroit. 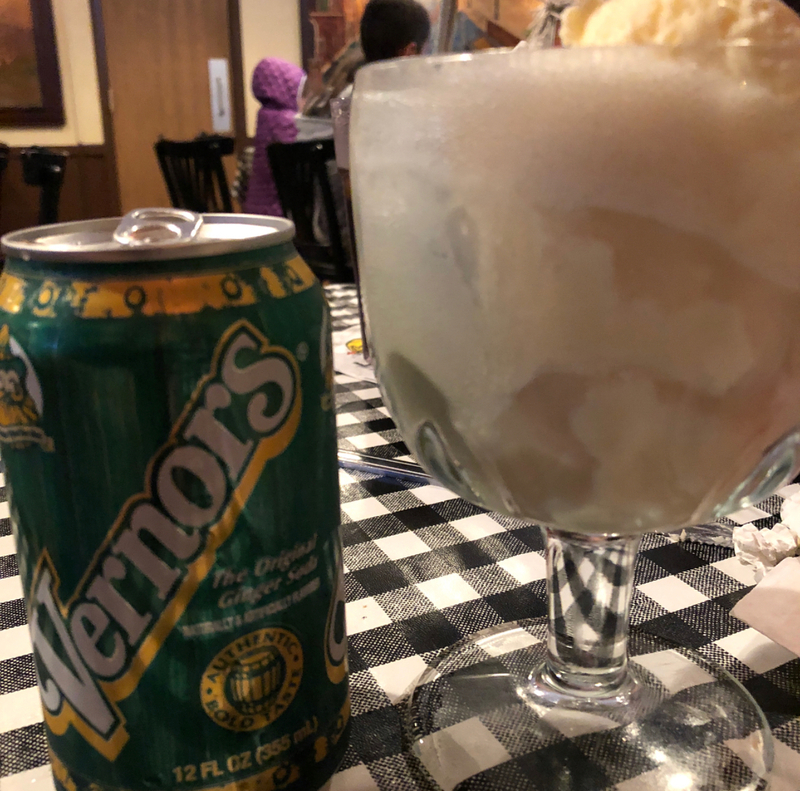 Plus, you get that Vernor’s Float. 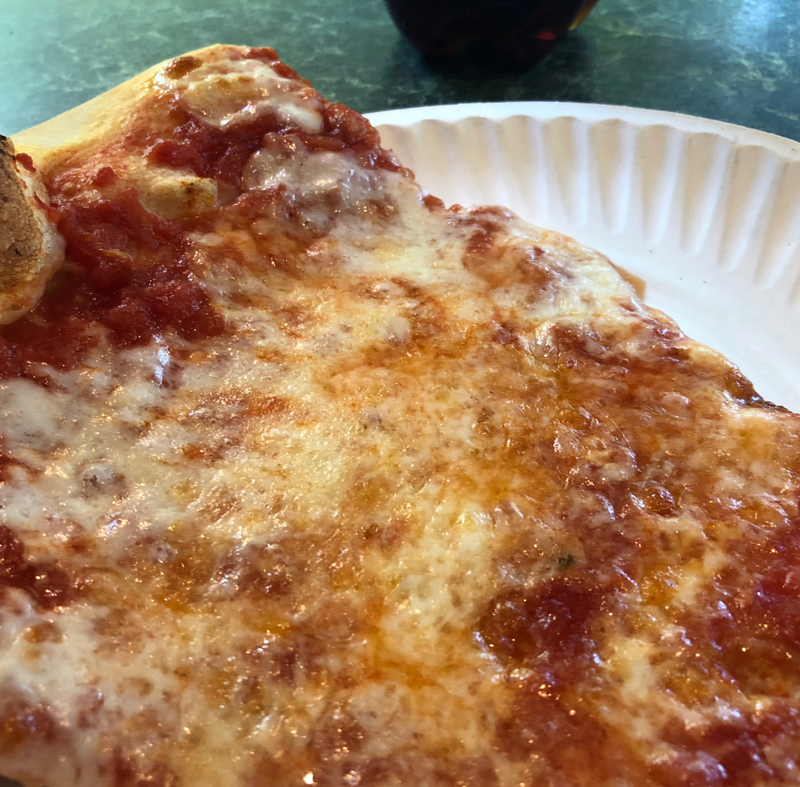 Also, New Haven and New York City slices are very similar and this was a unique contender. A contender that I didn’t think I would love. Much like Detroit it doesn’t get the respect it deserves. The city has had rough times but we loved our time there and we loved the Pizza. 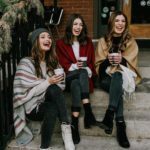 Frank Pepe’s- New York has the ambiance and the Instagrammable locations. 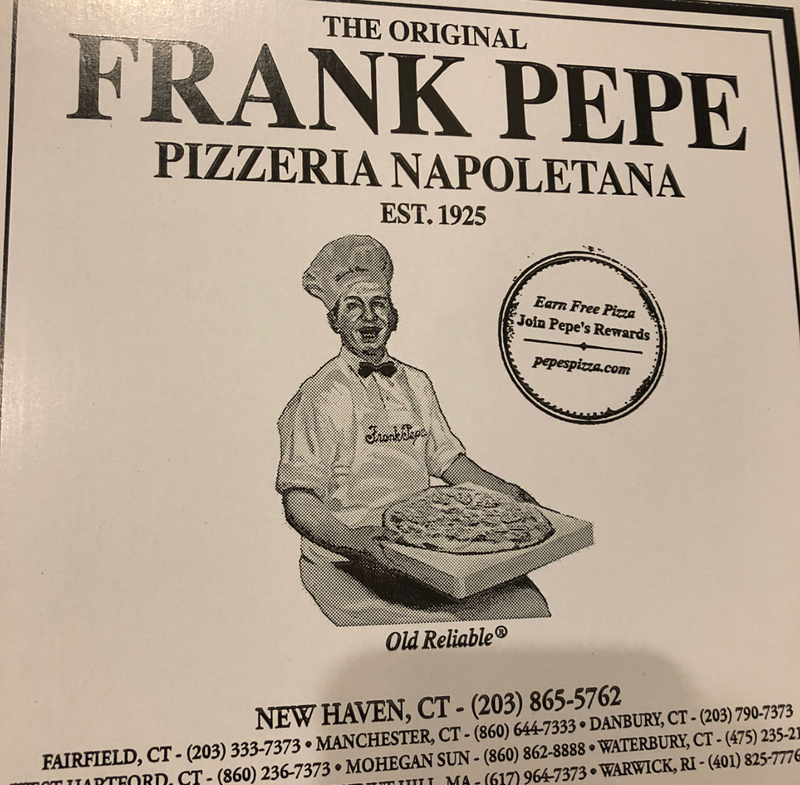 Frank Pepe’s and New Haven have the better pizza. If I am in the mood for a thinner pizza it’s going to be New Haven and it’s going to be the Tomato one with the paste. I appreciate fresh tomato but the paste was just so good and so classic. I probably wouldn’t order the clam again but my Coast Guard buddy calls it his favorite. 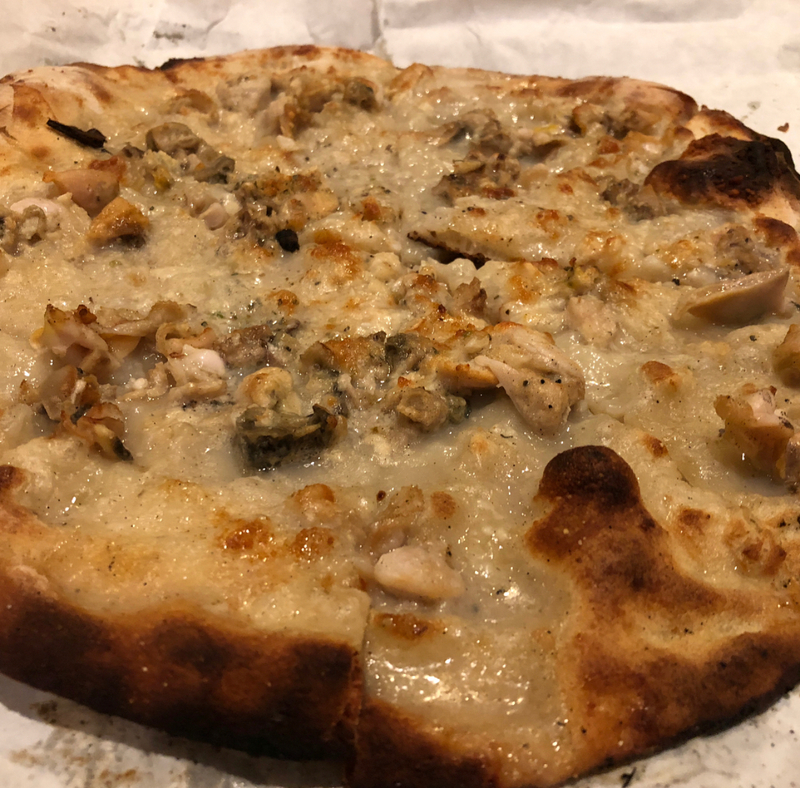 If you love Clams, you will love that White Clam Pizza. 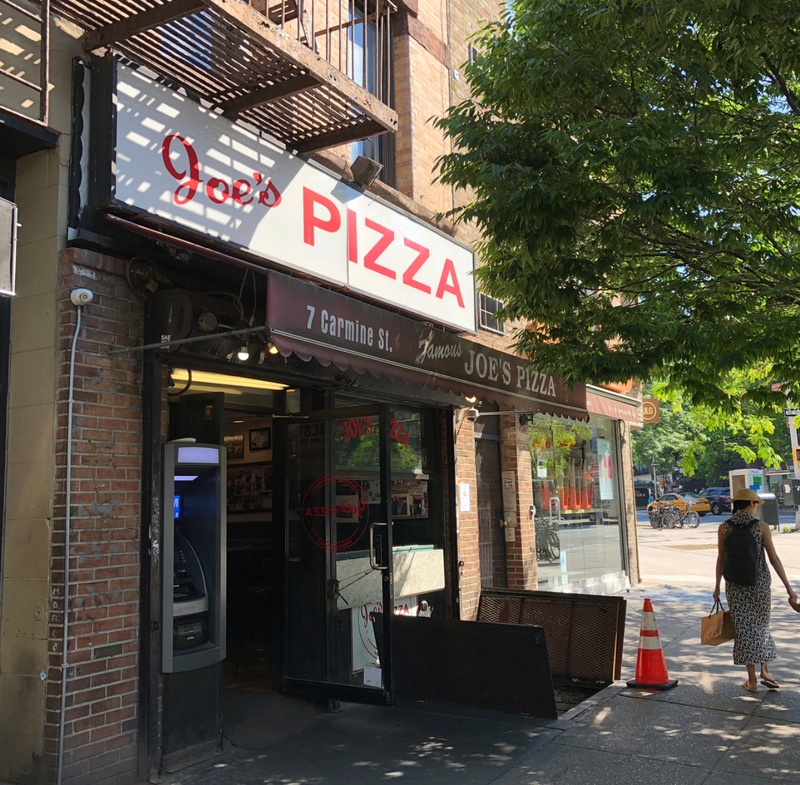 Joe’s Pizza– It was a perfect visit. Love the pizza but comparing it to Frank Pepe dollar for dollar it didn’t hold up. 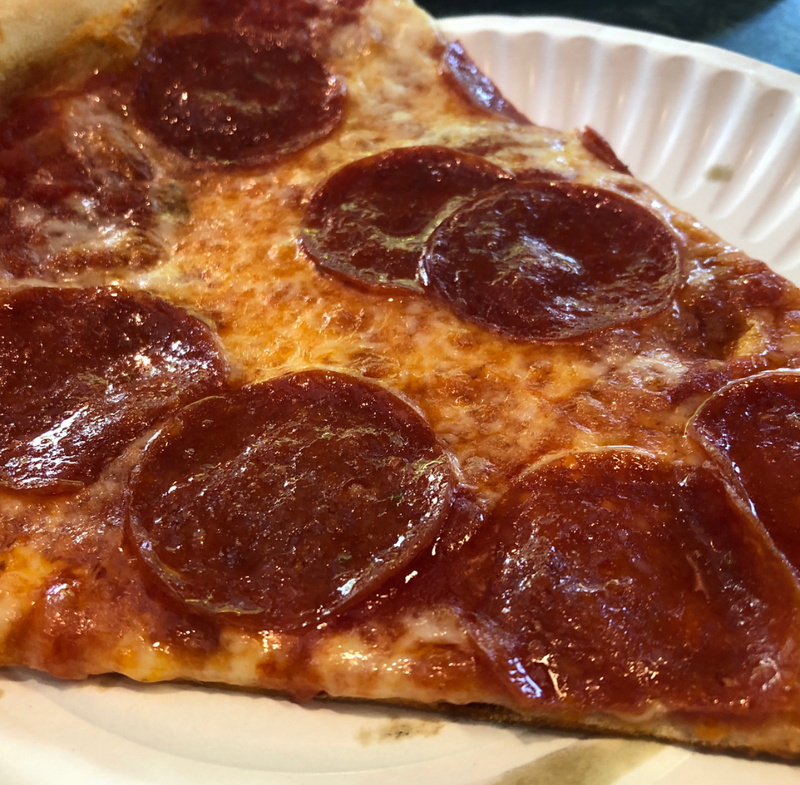 That said, I would drive through NYC traffic again and fight for a parking spot for another slice. 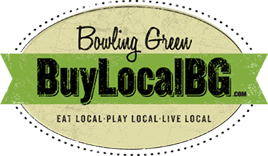 Soon we’ll need to do our favorite slice of Pizza in Bowling Green. Who wants to help us eat some pizza?